I have to admit that blueberries are one of my favorite summer fruits. Don’t they just scream summer to you? Delicious, full of fiber and nutrients – they’re so good for you – and they taste great too. But, did you know blueberries are also amazing for great skin, hair and all over beauty? They’re a super food for a reason and it doesn’t stop at health benefits. Amazing, right? 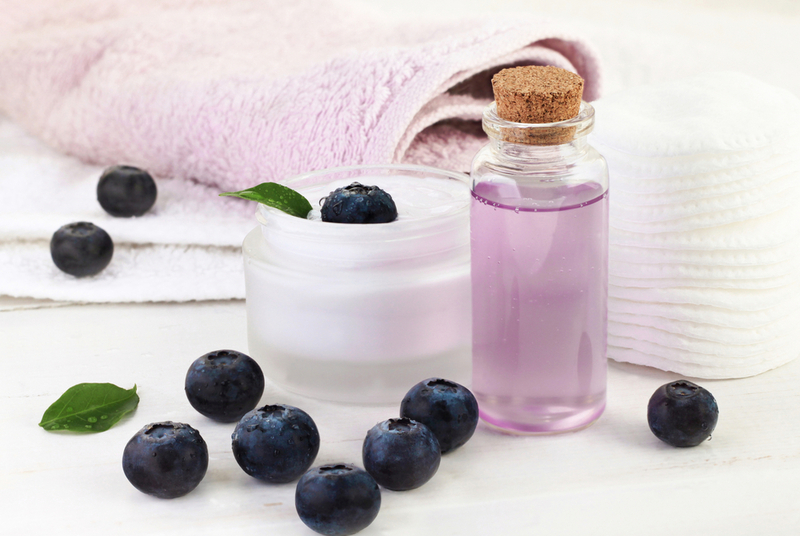 July is National blueberry month – and for good reason – they’re at their peak in the middle of summer, so how about celebrating by learning a little bit about the beauty benefits of blueberries. From using them in a healthy, beauty boosting smoothie to actually applying them to skin and hair, let’s take a closer look at the beauty benefits of blueberries. #1. They help fight signs of aging. Blueberries are loaded with antioxidants, that awesome buzz work we often relate to beauty. Blueberries will help fight age spots, wrinkles, dry skin – you name it. Keeping you looking young, vibrant and gorgeous. Try this delicious blueberry smoothie to keep your skin looking great. #2. They can keep skin clear and acne at bay. Anything that helps keep my skin free of blemishes is a win in my book. And, when it’s all-natural and made with blueberries, even better. Loaded with salicylates, blueberries can be used as a natural topical acne treatment, fighting bacteria and clogged pores. #3. Blueberries are perfect for your whole body. Blueberries can make your skin feel great from head to toe, especially after a long day in the sun. Use this awesome DIY body scrub to get rid of dry skin and let your gorgeous summer glow shine through. #4. This fruit will keep you slim and toned. Blueberries are a great summer snack, loaded with fiber and nutrients that will leave you satiated and feeling great. Add blueberries to your favorite protein shake or have a handful with breakfast – you’ll love their sweet, tart flavor. Try this blueberry chia pudding for a great breakfast on the go. What do you think? Will you start incorporating blueberries into your beauty and health routine?